That’s how I made a leap in my ability to interpret dreams. 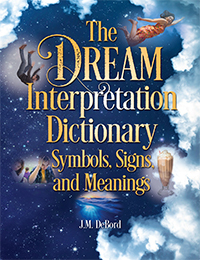 Step back from the dream and find the meaning and significance in the story it tells. Another way of saying it is “simplify.” Dreams can be dramatic. They are meant to fully engage you in the story. It’s easy to get lost in the details, to see the trees but not the forest. That’s why you step back and observe what the story is actually saying. So she walks me to the edge where the forest ends and the graveyard begins but she won’t go in with me. I wander through the graveyard, nothing special. It’s just a graveyard. Until I find a dock, and lo and behold, there’s ol’ Charon on his ferry and I realize I’m at an entrance to the River Styx. This … excites me initially, for some reason. I get on the ferry and tell Charon that I must take a swim, because I want to exchange energy with the river. He tells me it’s ill-advised, but doesn’t tell me I can’t, so jump in and start treading water. It’s brown, and muddy, and cold. Quite shallow too. I’m swarmed by cold, clammy, waterlogged corpses. Who are animated. They resemble bog bodies in every way. They don’t try to drown me, but they very very much want to cling to me and stroke me. I guess they want some of my energy too. Duh. They’re dead and I’m alive. Anyway, I tolerate this for a minute, but get squeamish pretty fast. Eesh. So I paddle back over to Charon and make an effort to get back on the ferry. He sends me visuals via telepathy that if I tried to get back onto the ferry, he would fall off. He didn’t say this was or wasn’t allowed, he simply showed me the inevitable outcome of me trying to get back on his ferry. After some contemplation I decided that even though I really, REALLY want to get out of the river, I don’t want to knock over Charon to do it. So I make the long valiant paddle back to shore, which is quite a task when you have to discourage animated bog bodies from clinging desperately to you. In that last scene, we see the dreamer make a decision for the benefit of someone else — even if it is Charon, the Ferryman of the Underworld (hey, he’s just a working Joe like most everybody else). The fact that it’s the Ferryman is less important in this case than the actions and details that create that scene. It’s hard to look beyond a character such as Charon or Death by stepping back to see the story. Characters like that give people the creeps and can bring up all sort of unpleasant possibilities (like “am I about to die?”), but 99.9% of the time what you see in a dream is symbolism that’s entirely personal and not prophetic. Step back. What’s the dream really saying? This dream, about swimming in the River Styx, is saying that the dreamer has a tendency to ignore advice and plow ahead, even when it can lead him into strange places such as a graveyard or mythological river. His personality shows in his decisions. If a witch in a dream told you to avoid a graveyard, how would you react? Some people would say hey, you don’t have to tell me twice. Others would wonder what’s the big deal. Reaction can tell you a lot about a person. Keep in mind, dreams with complex and engaging stories are basically virtual reality simulations designed to show you things about yourself based on the decision you make while dreaming. The dreamer also says he’s been pushing himself too hard lately and “not making the best choices.” Do you see it in the dream? Now let’s consider the symbolism of the River Styx and the dead bodies. The dreamer says he wants to take a swim and exchange energy with the river, and when he jumps into it he gets more than he bargained for. Dead bodies cling to him. They want his energy too. That detail was easy for the dreamer and me to figure out. The dead bodies represent the dreamer’s past, dead parts of himself, and energy is leached by dwelling on it. And nothing says “in the past” like a graveyard! All details from a dream come together into a big picture, interrelated either symbolically or narratively. My first inclination is to think of the graveyard simply as a prop in the story, a way of dramatizing the dreamer’s decision to do what he’s told he shouldn’t, but perhaps it’s more meaningful. Time is said to flow like a river. The River Styx in this dream is a metaphor for the time that’s behind the dreamer, in the past. You can be energized by thinking about the past if you use it to motivate you in the present and future and if you learn from past mistakes. But this person is going too far with it. He’s dwelling on the past — dwelling on “dead time,” which is another way of saying “River of Death” — and it’s taking energy away from the present. When he jumps in the river, he knows subconsciously that he’s acting out the symbolism. Which means he also knows somewhere deep inside that he’s an actor in the dream-story and the point is to show him something about himself. Ponder that for a moment. How many times have you done something in a dream and wondered later what possessed you to do it? Choosing to not get back on the boat represents the desire to do things the right way and not necessarily the fastest way. Getting back on the ferry right away would have immediately removed me from a situation I didn’t want to be in, but Charon would have had to suffer. So I chose to deal with icky bog bodies and swam back to shore even though it took longer and I hated it. I’m RadOwl, your ferryman in Dreamland. Our dreamer is learning well. He’s learning to make better choices. In the past, he was impulsive and challenged restraints and barriers. He’d do something simply because other people wouldn’t do it. But he’s learning to temper his impulsiveness, especially when other people are affected. Now imagine where you could go with a dream that features a graveyard, a witch, Charon, dead bodies, leaching energy and the River Styx. Interpreted incorrectly, it could lead to undue fear and distress. Focus on those details without understanding them and, yeah, you get the idea. Big mistake. See the story within the dream. I’ll teach you how to interpret your dreams. This is your guide.